Additional information removable floor in the vestibule of terpaulinga, rack steel 16 mm. The package includes: assembly instructions, user manual, warranty card company Tramp stamp with the seller, a list of service centers. On the photo: Tent Tramp BELL 4. Product description and specifications are based on information sites of manufacturers. 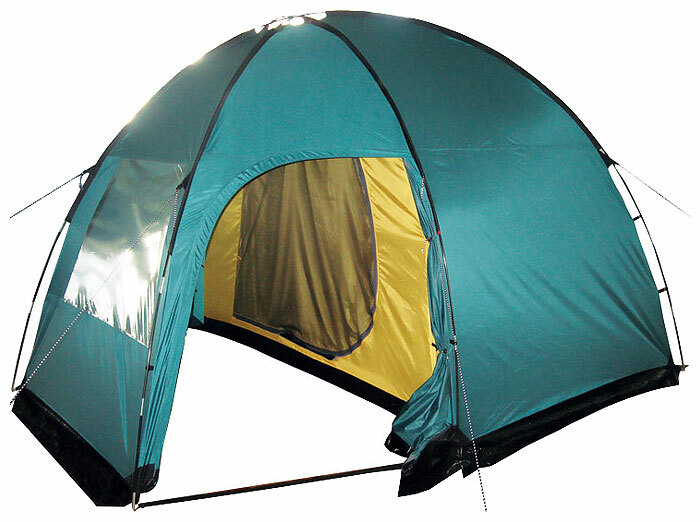 Supplied specifications and appearance tents Tramp BELL 4 are subject to change without notice. Before buying a tent Tramp BELL 4 ask all your options, equipment, appearance and warranty from the seller. Please note that we are not engaged in the sale and manufacture warranty.